Two player split screen driving game based on the destruction derby styled genre. Playable only with game controllers. 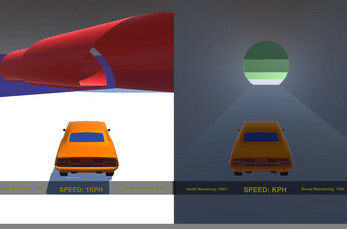 Game controls are supplied in the zip folder. 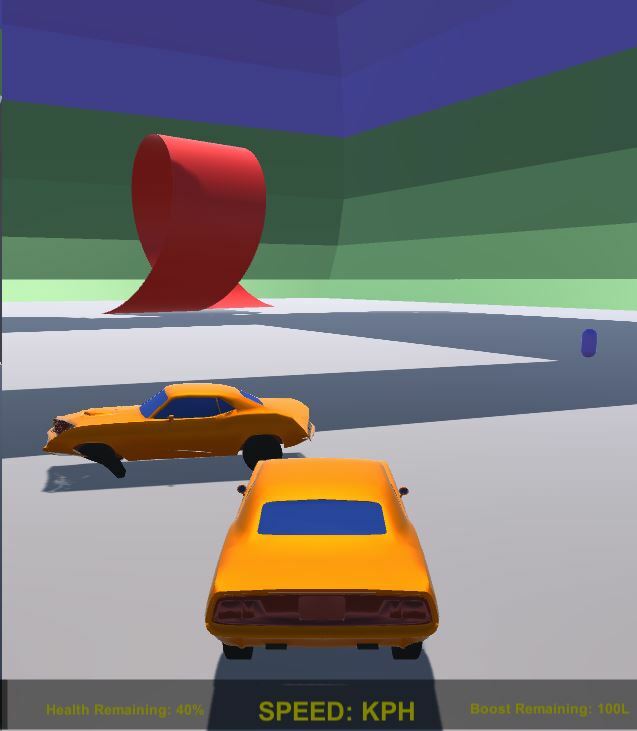 I programmed and modelled the game except the vehicles, destructible meshes and sounds which I modified but did not create. I'd love RStick to accel/decel. LT to look left, RT for the right, both to look behind. LB to Jump, RB to Boost, BackButton for cam, and OK for Y to flip.